Angela began her hobby and love of stitching at age 14. Once a friend showed her how to do counted cross stitch she was hooked. A few years ago Angela decided to mix cross stitching with magnets using the patterns that she has always known. That is how her business started. Angela then took the bold move to create a website and share her wonderful designs with the world. 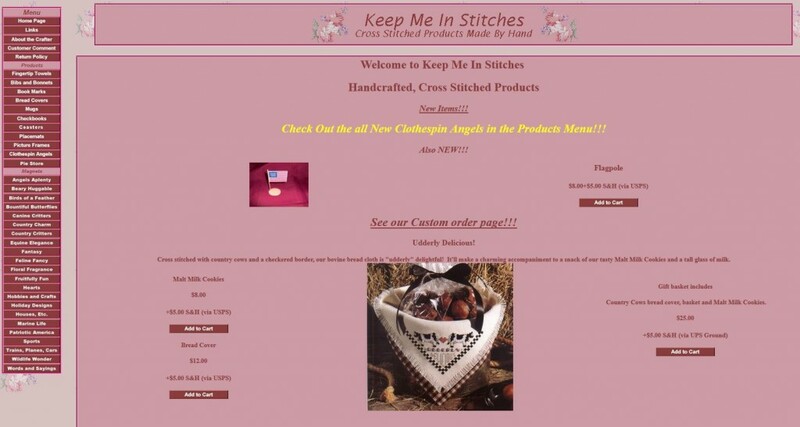 You can now see all of Angela's designs at Keep Me In Stitches.